Thai people have spent centuries building a world-famous cuisine from the tropical bounty of forest, field, river, and sea. Thai chefs reflect these elements by balancing sweet, sour, spicy, and salty flavours. Admittedly obsessed with their food, Thai people enthusiastically dine and snack from the break of dawn to well after dark. Although they favour many meats, seafood, fruits, and vegetables, their cuisine obtains substantial carbohydrate energy from mainly rice. Rice dishes make up the bulk of breakfast dishes. Some curry on sticky rice topped with a fried egg represents a common choice as does rice porridge known as Joke. Famous Thai spiciness need not wait for later in the day. Many Thais welcome their chili sauces or Nam Prik in the morning. Spicy zing is not mandatory though, and Chinese doughnuts called Patongo make a quick and popular breakfast. By lunch time, the menu expands, and dishes offer more protein and fat to get everyone through the work day. Marinated chicken, pork, seafood, and eggs along with beans and peanuts create a nutritionally robust foundation for dishes like prawn cakes, deep fried spring rolls, and dumplings. Fruits and vegetables add crunch, sweetness, and important nutrients to almost all dishes. Pad Thai traditional noodles is a prime example of a dish that successfully embodies flavor, nutrition, and textures. You’ll often see this Thai classic as a lunch special Vancouver restaurants use to entice people to try something new and exciting. Thais never worry about spoiling their dinner by snacking. Grilled satay skewers of marinated chicken or pork conveniently cure the munchies. Other popular snack foods include banana fritters or crispy Kanom Beuang filled with candied fruit, meringue, and strands of duck egg called Foi Tong. For those seeking to experience Thai food Vancouver offers several authentic dining experiences. At dinnertime, it’s not uncommon to struggle with a decision about what to try. A single category like curries offers multiple options for sauces and meats. Thais have adapted to their dazzling choices by developing a food culture that encourages sharing. All dishes are presented at once instead of in courses like Western cuisine. Family and friends then freely sample and swap dishes. 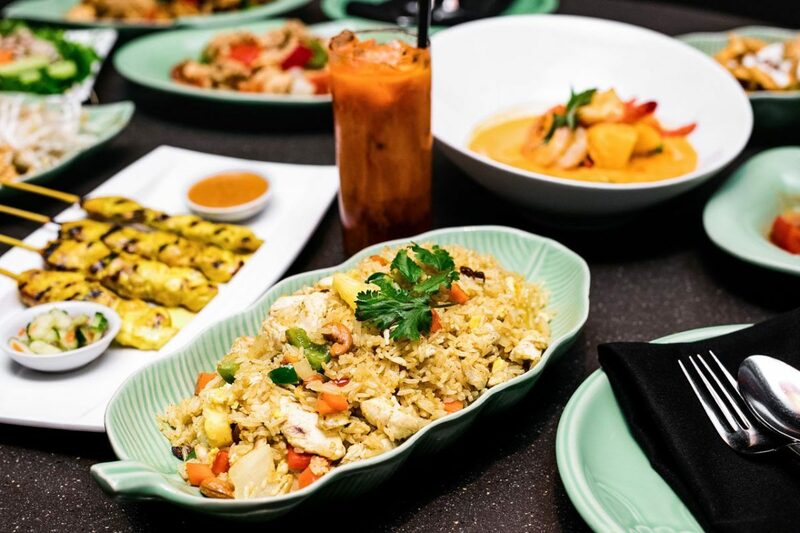 With the best Thai food Vancouver has to offer within easy reach, you can experience the full social experience of Thai dining. Thai House welcomes bookings of big parties for birthdays or office celebrations.